I have only posted a few blogs in the past several weeks, and I am using this post to explain that I will continue to write as much as time will permit. However, there are several reasons for the recent slowdown. First, the latest articles about yeast were a beast! I spend a good deal of time ensuring the accuracy of my practice and the information that I put into the blog. You wouldn’t believe the amount of information that I had to sift through in order to write a brief and useful guide for parents who try to understand the nutritional aspects of ASD. Or, maybe you would believe the problem – lots of opinions, but little scientific information. As far as fungus in the diet and autism goes, the web is folklore, basically. The second reason for my blog slog is that we have been working on upgrading the features of this web and The Child Development Center of America web. At my practice website, for example, a patient portal is being added in order to streamline communication and care. More importantly, however, I want to formally introduce and explain the Newsworthy tab. I scan a great deal of information every day in order to obtain the latest research. Some Newsworthy articles will come from the lay literature (yes, Newsweek can be a good source of information) and most of my interest is in scientific journals and papers. It is not my intent to merely regurgitate what you may find at any ‘Autism News’ website, however. I am trying to pick the papers that have the information that I want, and that I believe my patients and the readers are seeking. That is, truthful research that accurately describes the epidemic. And, when there are articles that are not science, I want to make sure that my opinion is shared. So, sit back and relax, everything Newsworthy will be uploaded and commented upon RIGHT HERE (well, almost everything, or as much as I can do). Thanks for reading. This entry was posted on Monday, June 13th, 2011 at 12:13 pm	and is filed under >ALL<, Alternative and Complementary Medicine for ASD, News-Maybe-Worthy. You can follow any responses to this entry through the RSS 2.0 feed. You can leave a response, or trackback from your own site. I look forward to seeing the blog upgrades you’re working on — and thanks for putting together the blog in the first place! You’re so right about the process of wading through so much opinion masked as fact. It’s exhausting to filter some of it even if it’s easy to identify it. 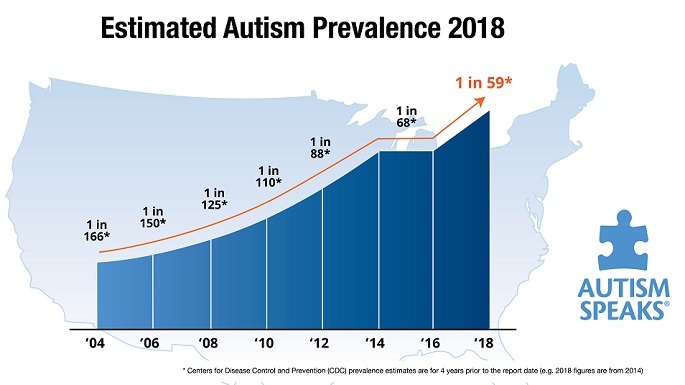 It’s nice to have the topic of autism and diet (etc.) being discussed… but the signal to noise ratio is discouraging at times. See “Self-injurious behavior in Autism Spectrum Disorder” Self injury, self harm, self-abusive behavior is something DSM-5 has yet to acknowledge is common among autistics of all functioning levels. Failing to research self injurious behaviors in the spectrum is not helping autism community.